Craps by Betsoft is the digital version of this popular casino game with the same name. As you know, craps is a dice game which the players make wagers on the outcome of the roll (or a series of rolls). You can bet against the shooter (the player) or the bank, in other words, you don’t need to roll the dice to bet on craps games. The Betsoft version follows these rules too, almost to the letter. As you can see from the interface, the transition is almost perfect; it looks like a real craps game. The graphics are good; not mind blowing since it is just a static image of a craps table, but realistic enough to convince you. To play the game, you need to set your bet value and the section you want to bet. Both are easy enough; to set the bet value, simply click on the poker chips located at the bottom right. You can bet between 1.00, 5.00, 25.00, 100, and 500 coins per roll. 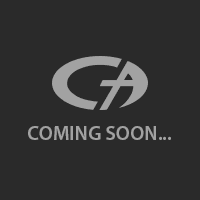 (500 coins betting is only available in the real money version, your maximum bet may only be 100 coins in the demo mode.) After that, click on the section you want to bet at the craps table. For beginners, this may seem a little frightening because of the number of options. To help you out, the game displays a tooltip when you move your mouse over the betting sections. You can see the possibility of that roll happening, what prize you will get and your balance is enough to make that bet or not at the bottom left side of the screen. Just click on the “roll” button after you make your decision and watch the outcome. (The outcome of the dice will also be shown in a separate window to the upper right.) You can play another round with the same bet section and amount, or you can start a fresh game by clicking on the “clear” button. You get 1.000 complimentary coins in the demo version. There are not too many options to play with, but you can turn on/off the sound; which we recommend keeping it on because of the atmosphere. 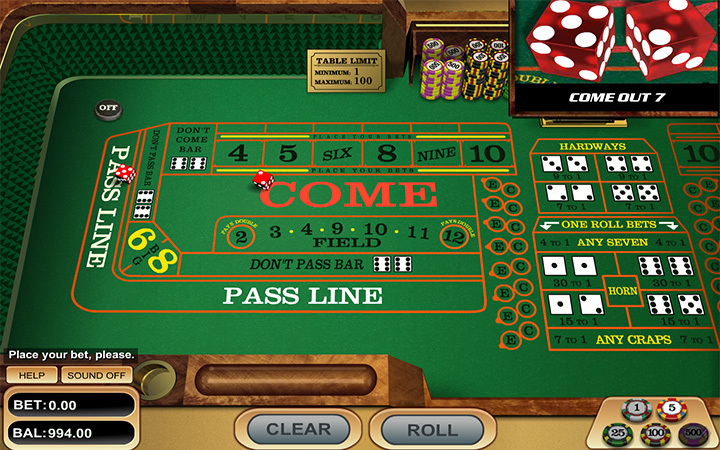 Craps by Betsoft is the classic version of this game and even the beginners can enjoy it because of the helpful tips. As always, you can play for free as long as you want, no questions asked. Play at Casino Avenue to try more casino games!